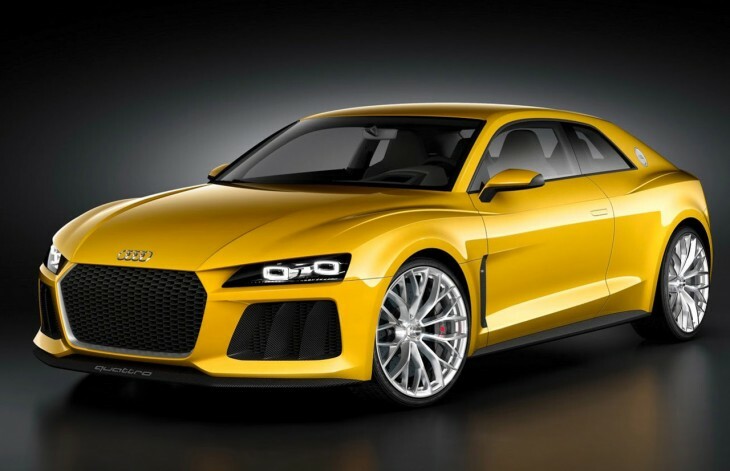 Overview: The Audi Sport Quattro Concept is powered by a 700 horsepower hybrid setup, which employs a 4.0 litre, twin-turbocharged V8 backed up by a 147 horsepower electric motor integrated into the transmission. 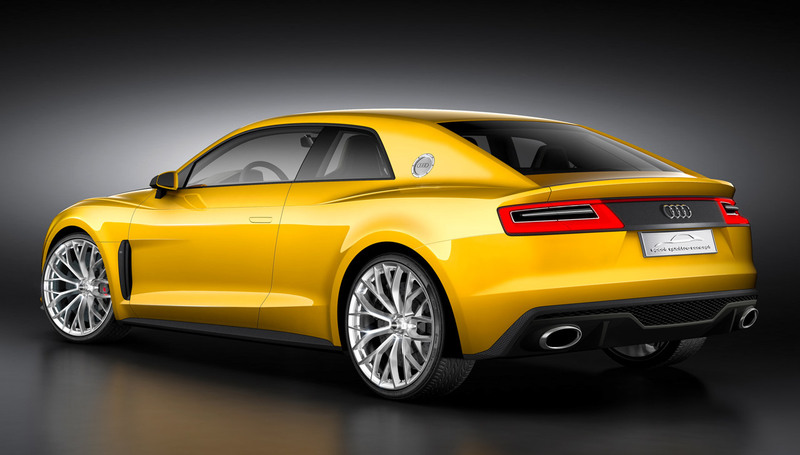 The Audi Sport quattro concept can cover up to 31 miles on electric power alone. With both the engine and electric motor working together to achieve maximum power, the Audi Sport Quattro Concept can accelerate from 0-62 mph in just 3.7 seconds. The top speed is 189 mph. 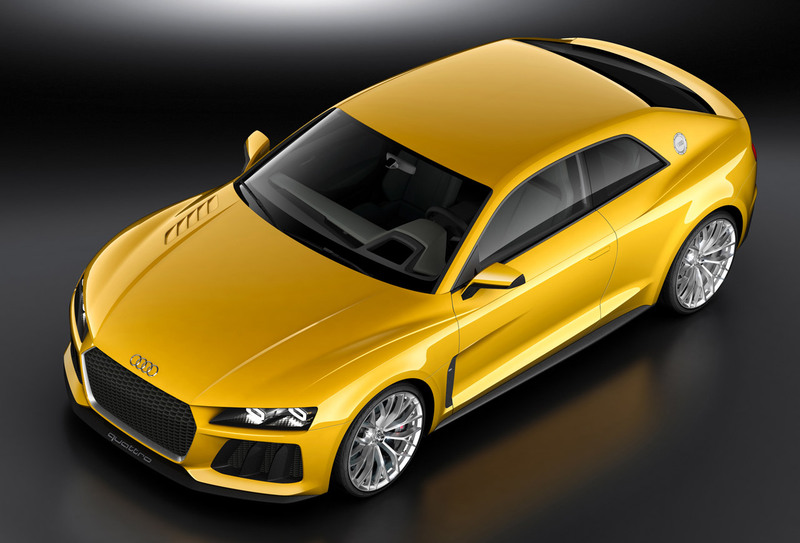 The body of the Audi Sport Quattro Concept is formed from a combination of steel, aluminium and carbon fiber. The occupant cell combines ultra-high-strength steel panels and cast aluminium structural elements. The doors and wings are made of aluminium, and the roof, the bonnet and the rear hatch are made of CFRP. The result is a kerb weight including the battery pack of 1,850 kilograms (4078 lbs).